My name is Cynthia. My husband Greg and I have been married 5 years. We have 3 daughters, Makayla (5), Hannah (4), Claire (born in July) and Olivia. Olivia was born anencephaly, a fatal neural tube defect. We were blessed to spend time with her before giving her back to the Lord. We find comfort in knowing that we will see her again some day. I posted this in a bereavement group tonight and thought I would share here too. I don't post much on the blog anymore and it's not a place I visit too often either. It's amazing to see such a huge transition. There are times I still ache for my baby girl to the point I seriously wonder how I am supposed to go the rest of my life without her. There are times it feels so fresh and raw that I cannot figure out if all of this happened yesterday or started almost 4 years ago. I just wish I could go back in time and assure myself that I will find a way to navigate this new life and it's not all bad, she's still part of me and part of our family. "Tonight I woke up and couldn't go back to sleep for some reason. I decided to go back and read my blog from when I was carrying my baby with anencephaly and the few months after she was born. We are quickly approaching the 4 year mark of D-day and my emotions have been out of whack just anticipating it. Through tears, I read my desperate posts while carrying Olivia. I was searching, praying and willing positivity and hope into myself. I have a hard time recognizing myself in my words and pictures from "before." I found the transition of when I became the "after," the new me and felt so much comfort in myself. I can plainly see now that there is the old me, the carrying to term and fresh grief me and the new me. I have said so many times that I miss myself, my husband and the way it was "before." I still do and still grieve for the way it used to be but I decided tonight that I really do like me. I always have but I am now more confident in myself, my family and my faith than I ever have been. I can see where that change happened so if you don't write things down, do it. It's very eye opening, sometimes hard to read but I am so glad I have those memories and to see how far we have come." May 12th, Mother's Day, we celebrated Olivia's 3rd birthday. 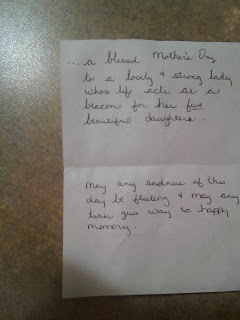 Quite honestly, this was a birthday I had been dreading since over a year before when I realized I would have to share her special day with Mother's Day. 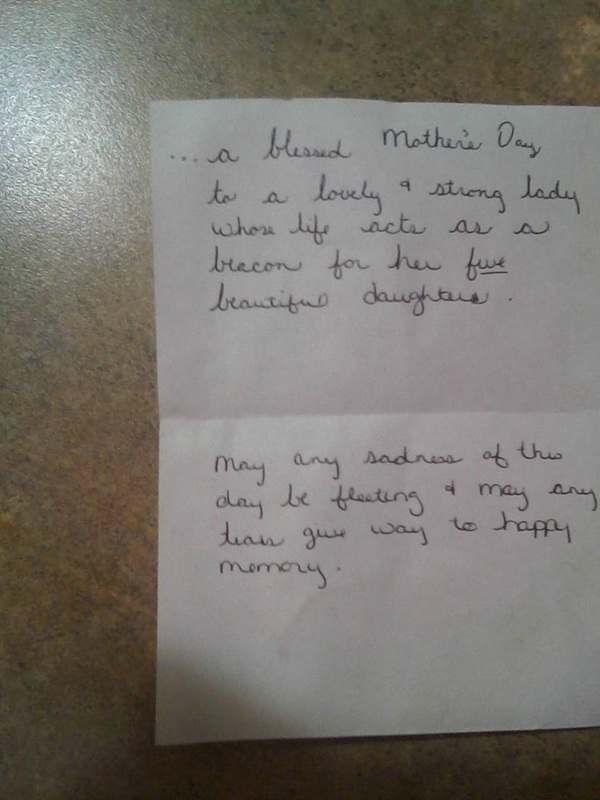 Mother's Day has never been the same since losing her, it is almost excruciating to hear the words "Happy Mother's Day" by someone other than my own children. I do not know why, there are a million reasons why I have considered in my head but I'm too tired to analyze myself right now! I will tell you, just like with all of the milestones, the buildup to the day is actually the most difficult for me. The day turned out wonderful. I really wanted to just focus on our girls, even though Mother's Day is painful for me, for them it's awesome. One thing I never wanted to do was have any part of Olivia's life or death to take away joy from my other girls. I had planned ahead to skip church and just run away with the family for the day. When Sunday rolled around, I decided I wanted to go to church first. It was not painful like I had expected and we left immediately after 1st service to head to Terre Haute to the children's museum there. A friend had told me about how clean and nice it was there so we decided to give it a go. Claire and I both got in free, Claire because she was under 2 and me because it was free to mom's on Mother's Day...score! It was so clean and nice, we got there shortly after they opened and it was practically empty until the last half hour. There was a craft area to make a Mother's Day gift so now I have 2 wind chimes! After the museum we went to the mall for some shopping. I am actively teaching my big girls how to shop sales/clearance. They can have nice things but with 4 girls at home, they are going to have to know how to budget shop! They love it and are learning it now. After the mall we decided to go look at the puppies at the pet store. We explained that we were NOT buying a dog that day. We didn't buy a dog but we all fell in love with the cutest little dog and there were some big tears when we left empty handed. Lesson learned! No pet stores unless we are for sure buying a dog! Before heading home we went to Garfield's for dinner. All 3 girls loved getting to color on the table "cloth" while waiting for food. They really wanted ice cream so I made a deal to stop on the way home for that so they could let there dinner settle. I did not want 3 girls puking (or 1 for that matter!) on the car ride home! As much as I try to avoid the emotions that come along with approaching yet another birthday, we are down to the week of again. I'll probably be posting a lot on here this week because I am trying to sort through all of the feelings/emotions that come along with hitting another milestone without my daughter here. May 12th we will be celebrating Olivia's 3rd birthday. I type through tears as I think about all the other 3 year olds that are celebrating their birthdays now. They are all talking, really talking and conversating! And potty trained, my most dreaded mothering task! There are times that I cannot picture having her in the middle of our girls but really, now, I can. I was setting up a toddler bed tonight for Claire and it broke my heart. I was looking at the crib on one side and the bed on the other side of Claire's room. It should have been there all along. I wish I was trying to figure out how to squeeze another bed in our small house instead of arranging 2 groups of girls that seems like it was planned to be this way. UGH, subject change, but if one more person refers to this current pregnancy as our "4th girl," I may scream. I correct 99% of people when this occurs, most of them well aware of our daughter that died. We have our 4th girl, this one on the way, is our 5th. 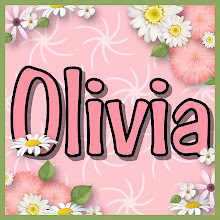 Although it may be uncomfortable each and every time I take the time to say it, it is far more difficult to deal with the feeling it gives me to just not acknowledge Olivia's place in our family. Truthfully, I am looking forward to getting past this week. I expect each birthday to get easier. The "normal" times are so much easier but each milestone breaks my heart more and more. I hate getting further and further from the last time Olivia was here, growing inside me....further from holding her in my arms. I'll end my depressing post for the night, I don't see this getting much better as my week goes on so I'll save the rest for another day! I wasn't sure where to share this one but as inappropriate as it may seem, it hit my funny bone today. This morning we were all at home, enjoying a lazy Saturday morning. Claire was wandering around the house and Greg asked "where's your baby sister?" Both big girls said "I don't know." We told them to go look for her and Hannah responds, very seriously and with a 'you have got to be kidding me look', "I don't have to, she's in heaven." I waited until she walked away and laughed...a lot! Why on earth she would think we meant Olivia, I have no clue!! In case you were wondering, Claire (the sister we meant!) was playing in her room. This is in every way a "poor me" post. I am posting on here rather than forcing the Facebook world to read about my hormonal, grief filled sadness. I know I will be ok tomorrow and I will not want random people walking up to me and knowing all my business unless they came here to read it. I'm not sure what happened today but it is a definitely and cry my eyes out kind of night. I really don't have much to say, just missing my baby. I really allowed myself to get into that funk of what my life could have been. I just wish I could go back to May 12, 2010 for just awhile to hold Olivia in my arms again. My body still aches for her when I go there, I don't allow myself to think too much anymore about my grief. I think of her in almost every moment, just as I would the other 3 girls but I cannot dwell on it or I feel like I do tonight. Even though we are just a couple of months from her 3rd birthday, I still have not quite figured out how to make sense of this life after loss. I do the best I can for my husband and girls, we do still live a busy normal life but it does not feel right. I changed when I had to bury my baby and I still do not know what my life should look like on this side of it. *SIGH* I wish I had the words to say, I feel like I've said it all before. Right now I am thanking God for Lifetime movies that can help me get all of those tears out!!! Like I said, tomorrow I will be fine, tonight I just needed to let it all out and I already feel a tiny bit better. 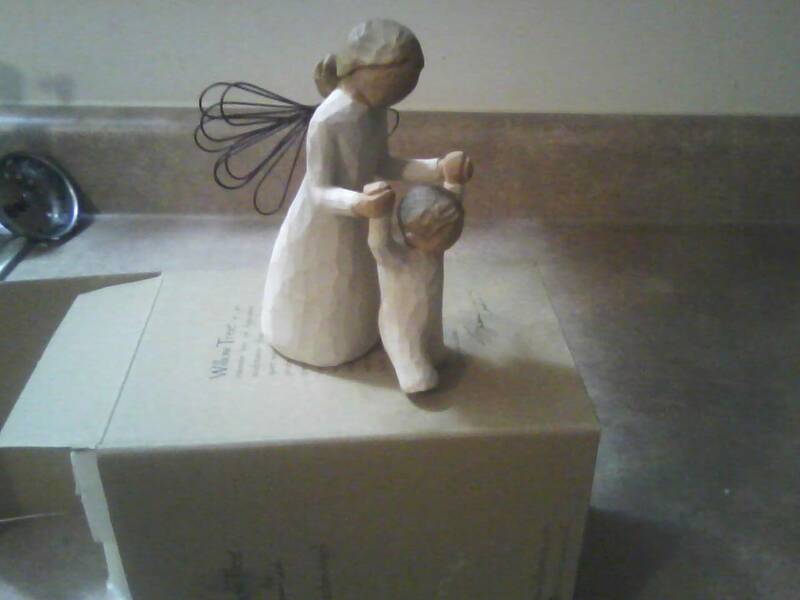 "Just receive another prayer request from a dear momma who lost her precious son and then had 3 miscarriages. She is currently expecting. Will you join us in lifting her in prayer and the sweet baby being knit together in her womb? Every precious life matters to God, and He hears our prayers for these moms and their little ones. Praying Psalm 139:13-14 for her: "For You formed my inward parts; You covered me in my mother’s womb. I will praise You, for I am fearfully and wonderfully made". Please pray for comfort, strength, and peace for her and health for her and her sweet little one. Thank you...your prayers mean so much!!" There have been many times that I have felt so blessed to have found such a wonderful community of women who share in the pain of childloss. I found found a family of friends, most of whom I will never meet but still talk about them as if our kids have playdates together. We have cried together, laughed together, celebrated new life while others have had to say goodbye to more of their babies. Without this community, I know that I would not have been able to face many firsts. The first time I held a newborn baby after losing Olivia, I came home and typed through tears and they understood. When I became pregnant with Claire, those women were among the first to know. All of the feelings, hurts, grief, frustrations, my heart was poured out to them and they truly understood. I am forever thankful that we live in a time that has allowed me to connect with other women in this way. Other times I hate it. I genuinely wish that I would have never had to enter this world. I have intentionally distanced myself from groups and blogs because it hurts. 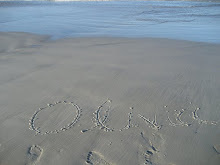 Some days I just wish I could forget, not Olivia, but the emptiness of her not being here. The sad reality of this is that it never ends. I have reached a point where my good days far outnumber the bad but my God, what I wouldn't give to hold my baby one more time. And for that, these groups are a constant reminder. Then I came across that post today and it reminded me of the beauty of this journey. We, as women...as people, can put our differences aside. We surround each other with love, prayer and encouragement. We can come together and pray for this woman and so many others that so badly want that "take home baby." I don't know all of their stories or their struggles but I can connect to the pain. Please pray tonight for these women who have endured so much suffering. Pray that they will be blessed with that miracle of a perfect, healthy baby that can help heal their hearts. It has been a strange week of reminders that we did actually lose a baby. I do not know how to say it clearly but there are times that I just sit back and think "wow, that really did happen to our family!" "If Mommy had one baby and then had another baby then she had two babies." "If Mommy had two babies then had another baby and that baby died, then she still has 2 babies.....right mommy?" And this is the reality for my sweet little 6 year old. She has really tried since she was 3 to wrap her head around this reality we are all forced to deal with. My other reminder was tonight. I was reading a story about a baby that had died shortly after she was born. I was looking at the pictures of this beautiful little girl with no sign of defect to be seen. I had the same feeling of disconnect that I had to these situations before Olivia's diagnosis. I was reading and thinking that it would be horrible to have a baby, hold her and then just have her gone one day. Then suddenly a hard lump that I just couldn't swallow popped up in my throat. My disconnection from it all was gone and once again I was feeling compassion. I also am that mother that knows the pain of saying goodbye too soon. Although I am typing this about specifics, I do think of her everyday pretty much continually. I can't explain it but I know my fellow BLM's understand. I am a wife and mother of 4 girls. I love my family!